The Supreme Court has declined to review the DC Circuit's affirmance of a Tax Court decision that, for purposes of determining whether IRS has met the requirement in Code Sec. 6330(a) that it notify the taxpayer by mail no less than 30 days before the date of a levy that the taxpayer has the right to a collection due process (CDP) hearing, the 30 days is measured from the mailing date of the IRS notice. IRS generally may not levy against a person's property or right to property unless it gives the person a notification in writing of his right to, and the opportunity for, a pre-levy CDP hearing with IRS. (Code Sec. 6330(a)(1), Reg. § 301.6330-1(a)(1)). One way in which that notice may be made is by sending the notice by certified or registered mail at least 30 days before the day of the first levy with respect to the unpaid tax for the tax period. Hand delivery within that same time frame is also allowed. (Code Sec. 6330(a)(2)). In an effort to collect the taxpayer's Mr. Weiss's unpaid tax liabilities by levy, IRS attempted to hand-deliver the notice at Weiss's residence during a field call on February 11 but, deterred by Weiss's dog, was unsuccessful. Two days later, IRS initiated the mailing of the notice by certified mail to Weiss's last known address. IRS did not generate a new levy notice dated February 13 but rather enclosed in the envelope the original notice dated February 11. The taxpayer challenged the timeliness of the levy notice in the Tax Court. The Court held that the mailing date, February 13, was the relevant date from which the 30-day period was measured. The Circuit Court for the District of Columbia, affirming the Tax Court, has held that the mailing date, February 13, controlled the issue. The Court reasoned that the statute looks to the date the notice is sent; in the context of a mailed notice, "sent" means "mailed." 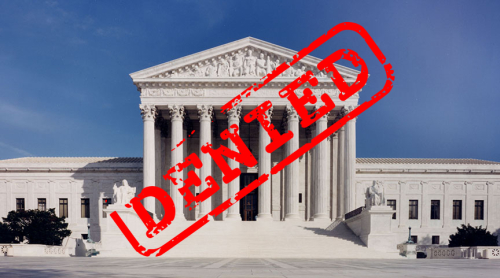 On Dec. 3, 2018, the Supreme Court refused to review the DC Circuit's decision. Accordingly, that decision is now final.